In your DIY Preparation, add a succulent mixture of fruits, inviting you into a whirlwind of savoury flavours ! Add a succulent Peach flavour to your greatest gourmandise! Savour this Green Apple Aroma like you have never felt before! All the acidity of Lemon in your Vape ! Vape the hand picked Strawberries straight from the heart of the perfumed garden. A delicious Raspberry with a hint of acidity in your DIY Preparation. Find the richness of the Soursop Flower for your Macdiyer Concentrate ! Refresh yourself with Grenadine served by Mac Diyer ! Bite into a juicy Mango picked by Mac Diyer ! Concentrated Apricot aroma of the brand Revolute in 10 ml. Produced in France by Nicoflash. Concentrated Red Fruits aroma of the brand Revolute in 10 ml. Produced in France by Nicoflash. Concentrated Melon aroma of the brand Revolute in 10 ml. Produced in France by Nicoflash. Concentrated Peach aroma of the brand Revolute in 10 ml. Produced in France by Nicoflash. Solubarôme Pear aroma 10 ml bottles with childproof device. Please note: this aroma must be diluted in a base. Mango concentrated aroma of the brand Revolute. Produced in France by Nicoflash. Banana concentrated aroma of the brand Revolute. Produced in France by Nicoflash. Dragon Fruit concentrated aroma of the brand Revolute. Produced in France by Nicoflash. Pear concentrated aroma of the brand Revolute. Produced in France by Nicoflash. Concentrated Strawberry aroma of the brand Revolute in 10 ml. Produced in France by Nicoflash. Concentrated Coconut aroma of the brand Revolute in 10 ml. Produced in France by Nicoflash. 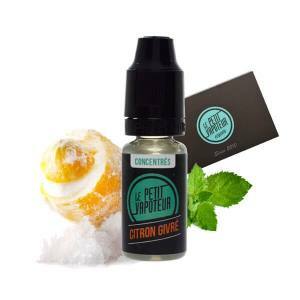 Aroma Melon Vincent Dans Les Vapes : An aroma Full of Sunshine. The Melon Aroma is natural, very sweet and refreshing. A Summer,Tropical, Fruity, and Festive recipe. A magical mixture of Peach, Papaya and Mango. Nom de Nom! Oni is a mixture of complex Citrus Fruits and Lime all touched with a note of freshness. A mixture of Apple, Berries and Guava Sugar, which will make your mouth water. An excellent duo of Guava and Mango with a fresh punch. A juice which is highly exotic! Concentrated Cherry aroma of the brand Revolute in 10 ml. Produced in France by Nicoflash. A festive Cocktail with Lemon, Kiwi, Pineapple, Strawberry and Banana. Fruity and Acidic! A real flavour of Wild Strawberries. To be used on is own for the preparation of your DIY Recipes. A large bowl of Red Fruits.. Blackcurrant, Strawberries, Blackberries, and Gooseberries! An efficient Iced Melon. To be used on its own or with other aromas of your choice to compose your own recipes. A Granny Smith Apple Aroma. To be used on its own or with another aroma of your choice to compose your own recipes. A Banana Aroma to be used on its own or to compose your own proper recipes. A pure Aniseed Concentrate, vaped on its own or mixed with other ingredients (aromas) depending on your preferences. The Guanabana Concentrate in 50 ml format. A limited edition, specially created for the Summer. A flavoured mixture between Pineapple and Mango. Fresh and Fruity. ; Typically Malaysian.. ! Discover the delicious Granite of Grapes, A concentrate which is perfect for the hot summer days..! Ripe Melon and Red Fruits, a sweet and fresh mixture which will please all ! A concentrate which is fresh and fruity. A mixture of Wild Strawberries and Juicy Mango from Malaysia.